SystemSaver Enterprise allows you to securely and permanently delete all company or personal data while leaving the operating system and programs intact. It's perfect for reusing computers within your organization or recycling them for other purposes. Securely recycle computers between employees without having to reinstall or re-image each machine and without compromising personal data. Get rid of aggressive infections. Speed up slow computers. SystemSaver will clean personal files and get rid of file bloat including temporary and cached files, allowing your computers to operate faster and more efficiently. You can leave all your programs untouched or select which individual programs to erase. SystemSaver wipes all Windows user accounts and the data associated with them and will automatically create a single new, clean user account. 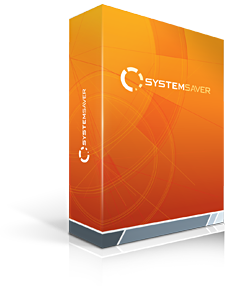 SystemSaver targets only your personal and company data but leaves your operating system and programs in tact. Our wiping technology is used exclusively by many government entities including the Department of Defense and the U.S. Air Force. That means your data can never be recovered, even with the most advanced tools. Now you can reuse or recycle your computer without being concerned that personal or company data is readable. Donate your computers to charity or a local school rather than sending them to a landfill. Computer infections often seep into individual files and can be very difficult to remove. SystemSaver deletes all personal and company data including any infections that may co-exist in them. It also includes anti-virus software to ensure any remaining infections are eradicated. Enterprise customers receive upgrades free of charge as they become available for the term of your license. There's no need to worry about your user licenses becoming outdated. Most enterprise clients are happy with SystemSaver right "out of the box." However, we know that some clients have special situations and needs and we welcome the opportunity to customize our software and provide one-on-one consulting accordingly. All versions of Microsoft® Windows® newer than XP, including Vista/7/8/10.